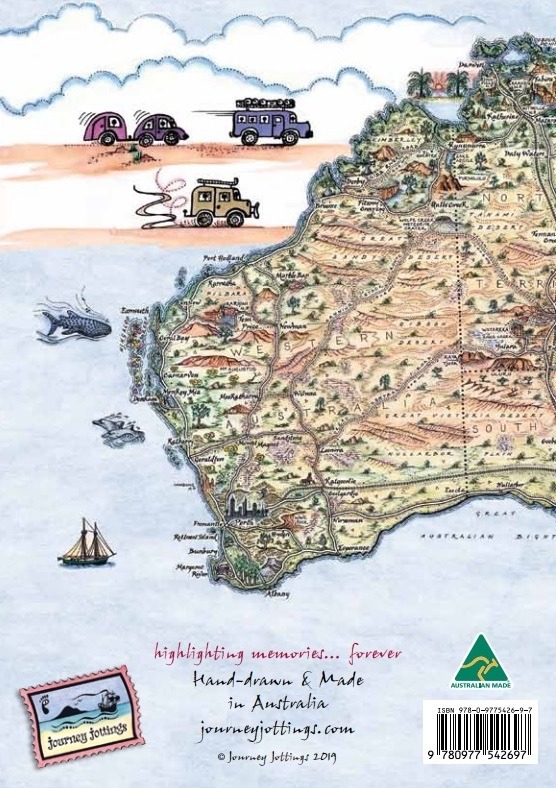 Or setting off on the big lap – ie a road trip right around Australia? 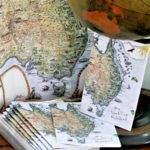 I first published 7 landscape A6 Notebooks, each with 28 pages featuring one of my little drawings of Australian plants, animals or a mini-map. 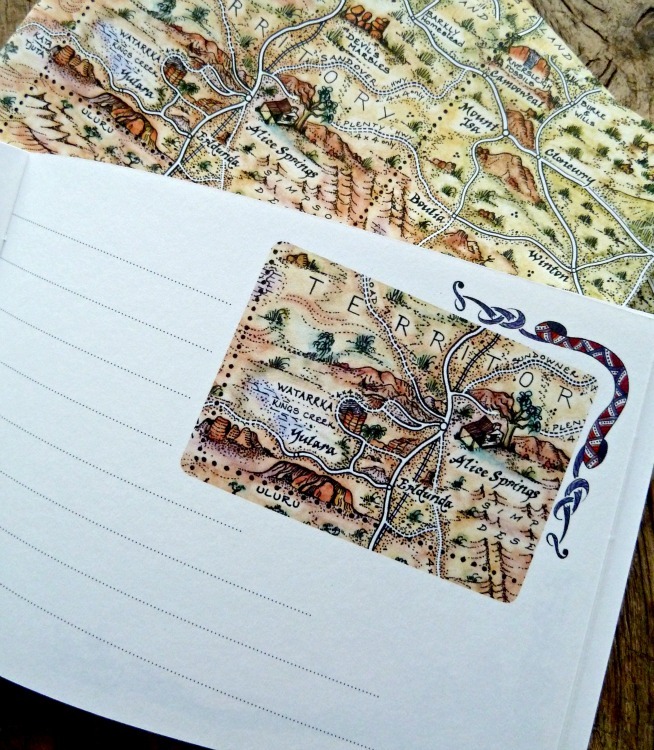 If you’d like to know the background story of this – I wrote a fun blog post about how I produced these travel notebooks… right down to the paper selection… and included lots of photos if you want to see even more clearly what they look like inside and out! 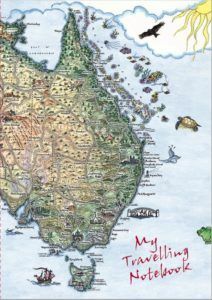 Whole of Australia (NBA#1) $7.95 Just a few left! 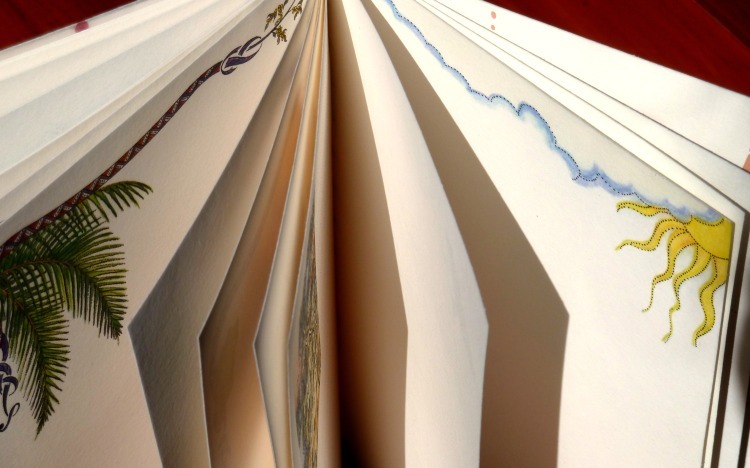 PAYMENTS are via PayPal – However, you do not have to login or be a ‘member’ of PayPal – simply enter credit card details as a Guest. 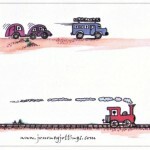 We like to keep things simple so we charge a single flat rate for shipping. 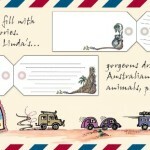 Please select: Are you are in Australia, or do you require International postage for anywhere else in the world? 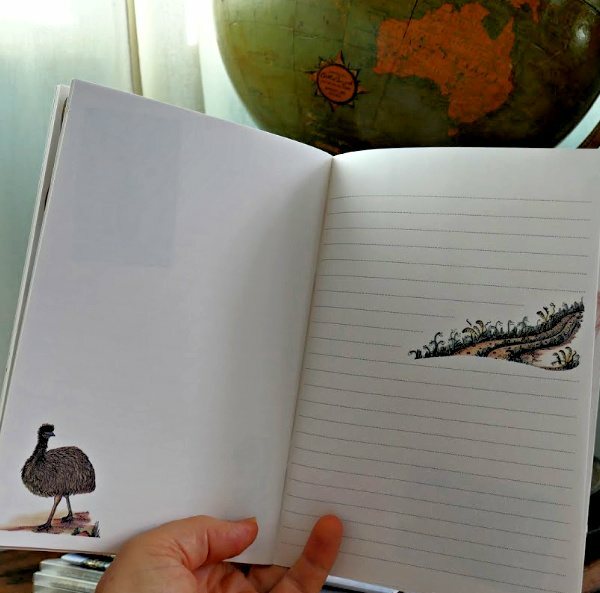 We published this in 2019! 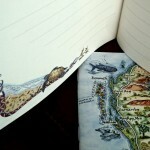 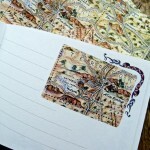 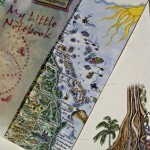 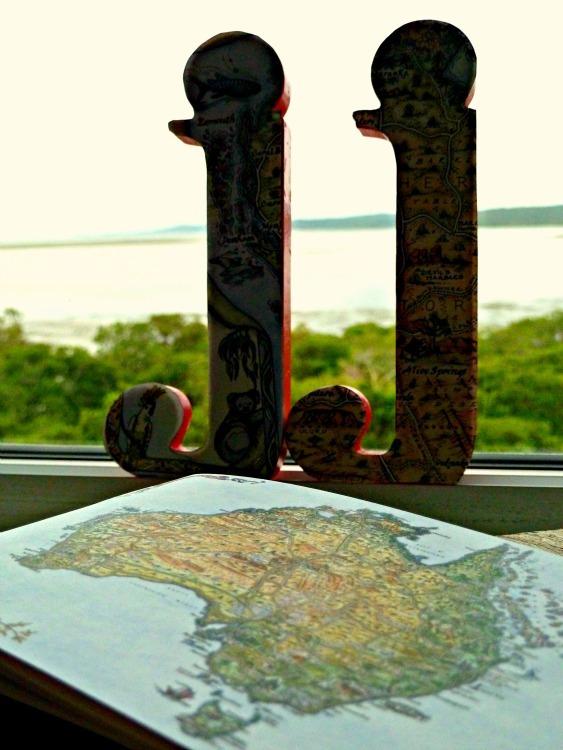 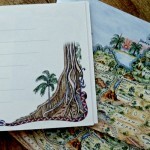 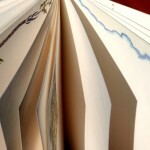 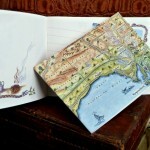 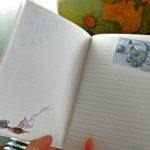 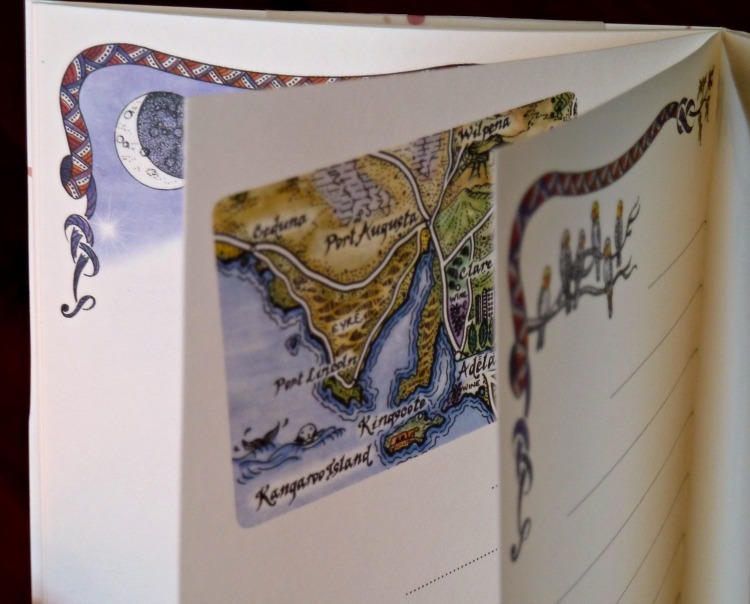 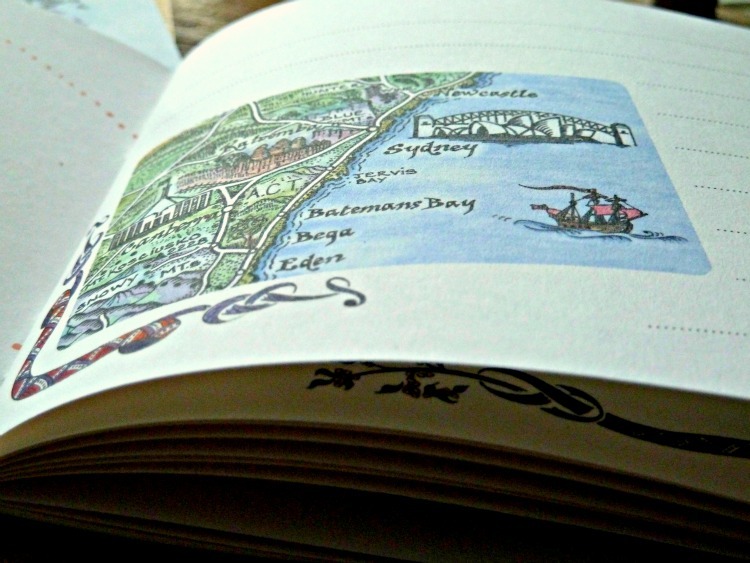 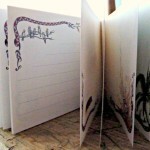 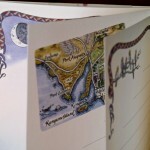 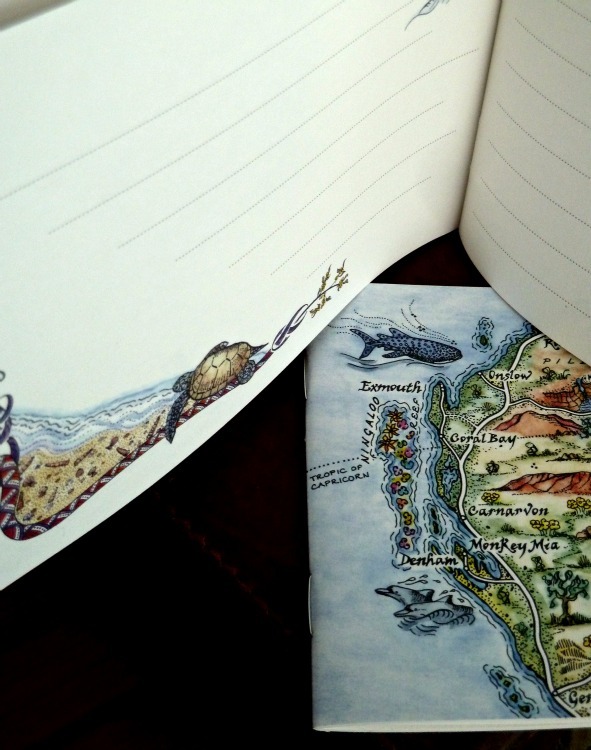 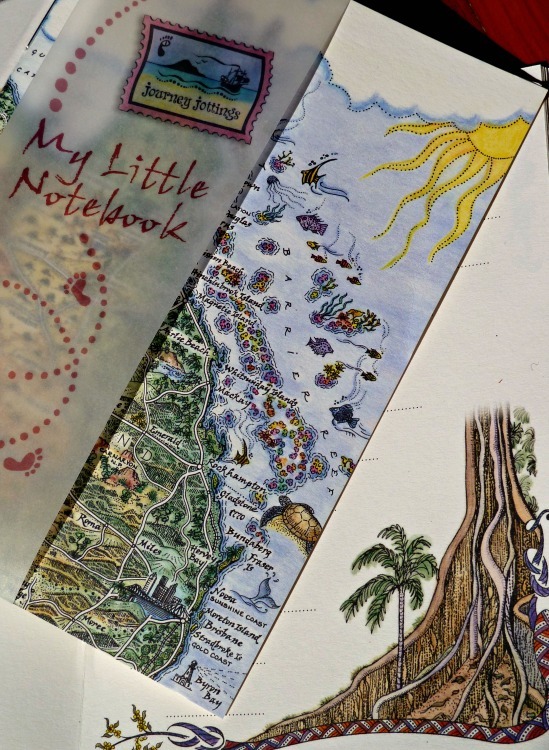 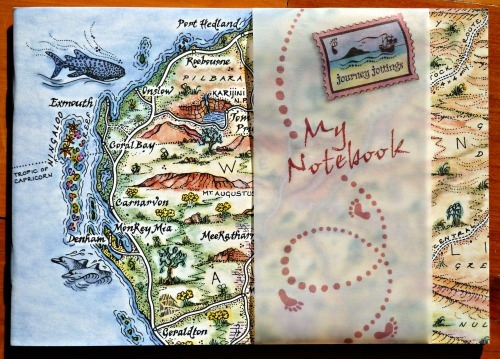 An A5 Travelling Notebook that is simply P-E-R-F-E-C-T if you are touring, travelling OR holidaying in Australia! 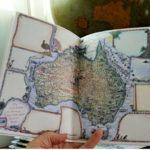 It can be used as a stand alone addition to preserving your marvellous memories as there are 32 pages, each displaying in the corner either a mini-map of each State’s capital region or an iconic pen and ink drawing of an Aussie animal or memorable moment. 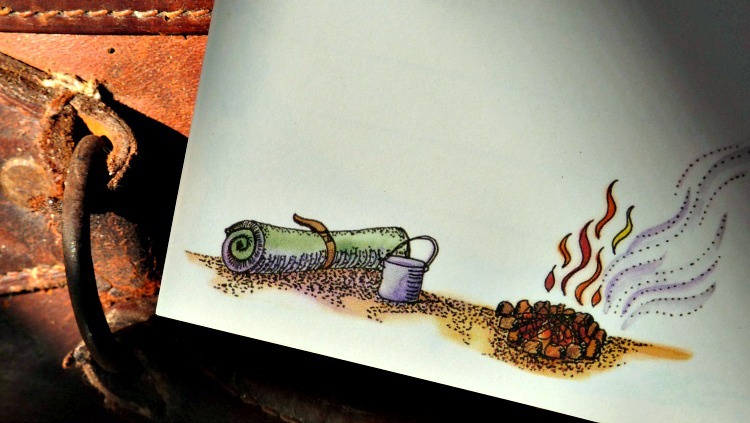 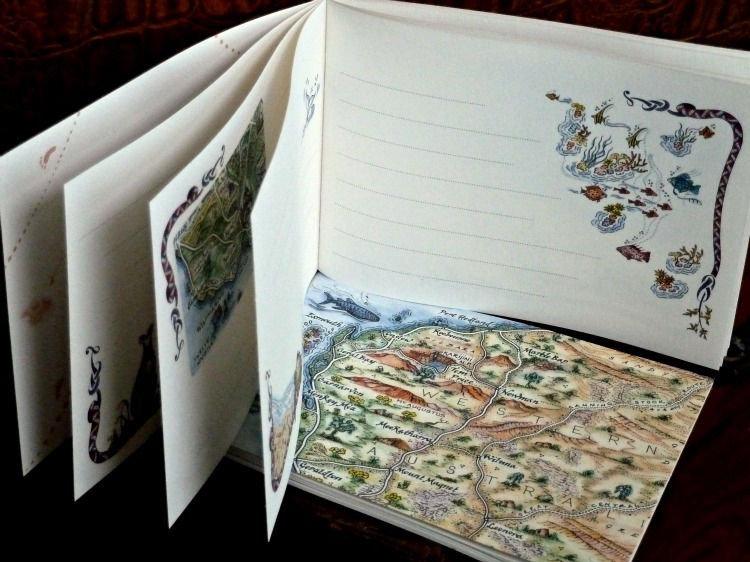 But the closed book will snugly tuck into the back pocket of the Travel Wallet that houses the Journal Map for those who want to write a little more than the map alone can take. 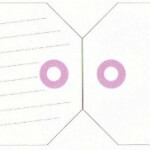 Please select your shipping area before ordering. 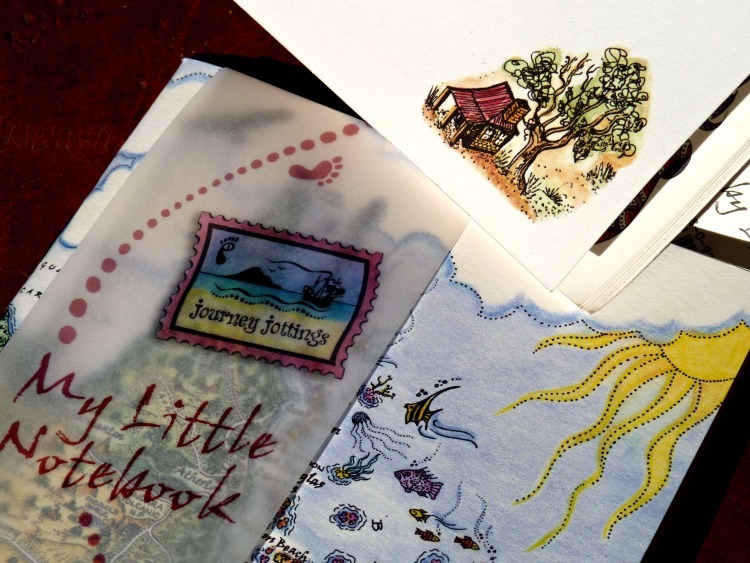 These Little Notebooks each have 32 pages lying in wait for your holiday adventures to be scribbled and scrawled across them so in years to come you can rediscover the fun and games you had way back when. 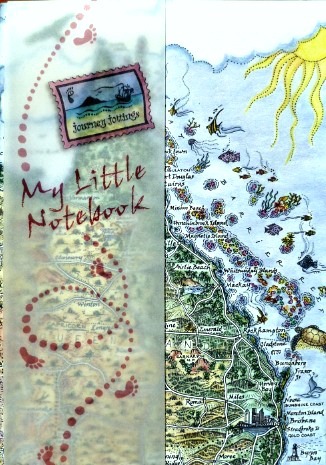 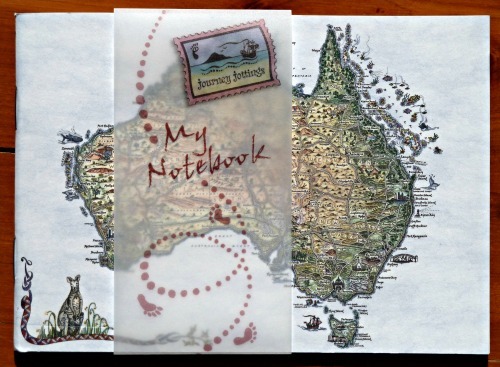 The cover of this A6 Notebook features a pictorial map of Australia, with a corner decoration of a kangaroo. 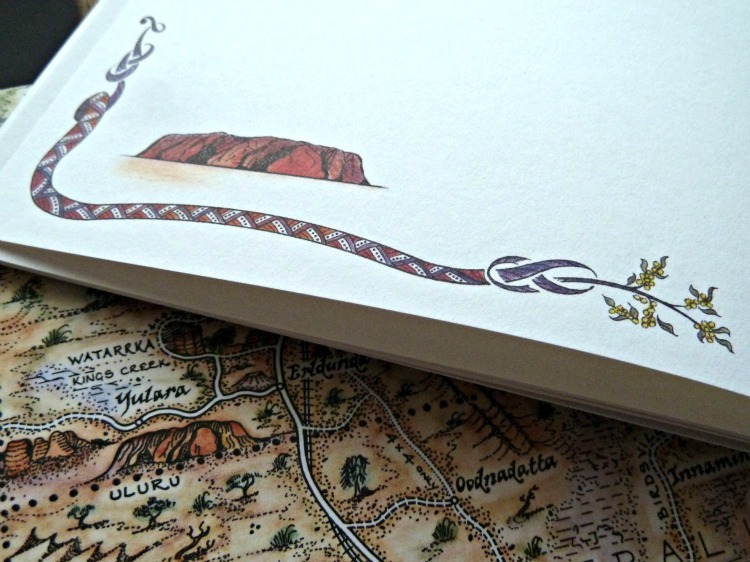 I made the mistake of not getting out to experience Uluru for way too long – Don’t make the same mistake! 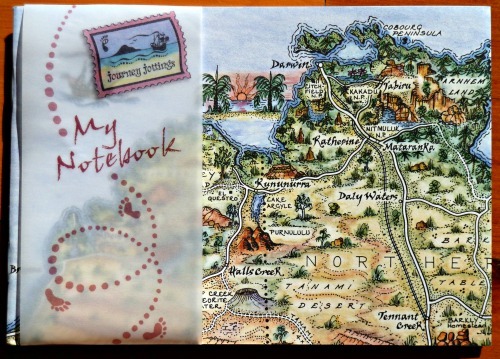 The cover of this A6 notebook features the Top End of Australia – Darwin and the Northern Territory – plus the Kimberley region in north west Western Australia. 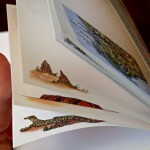 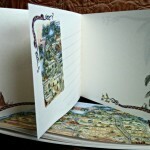 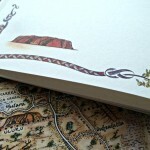 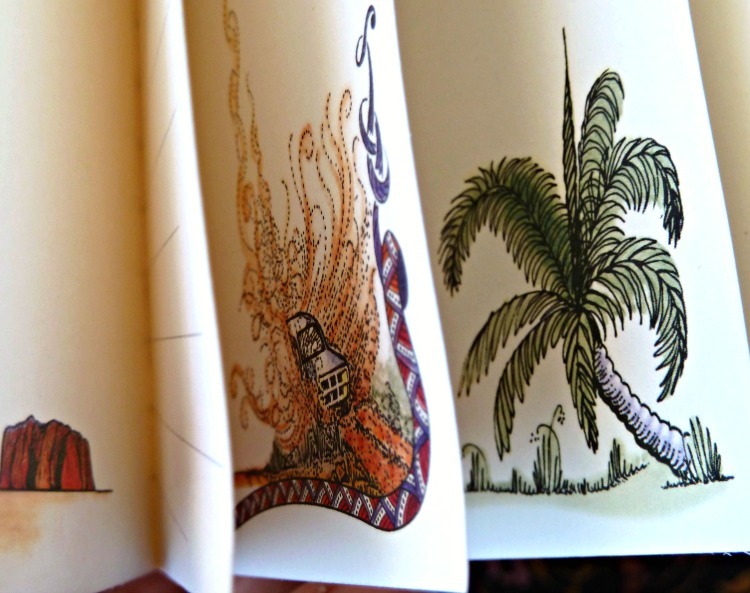 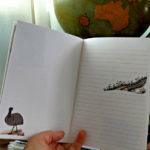 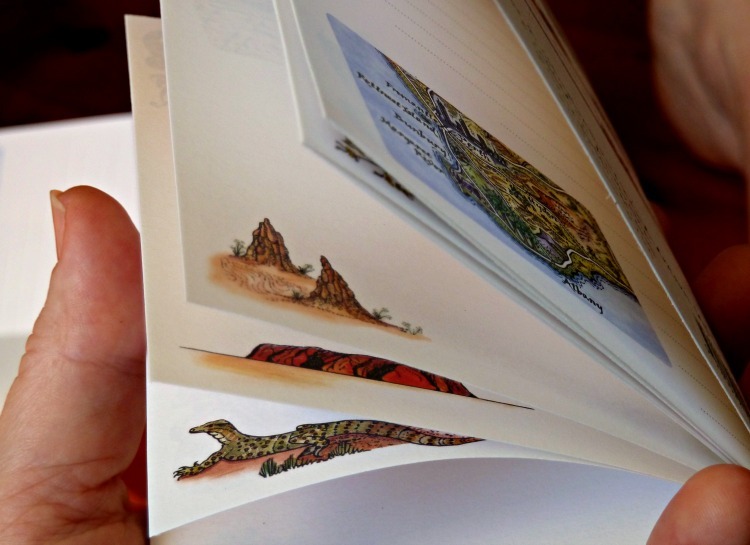 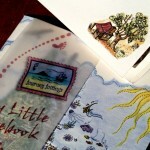 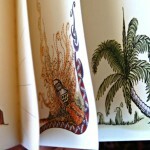 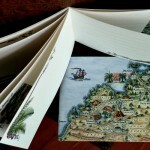 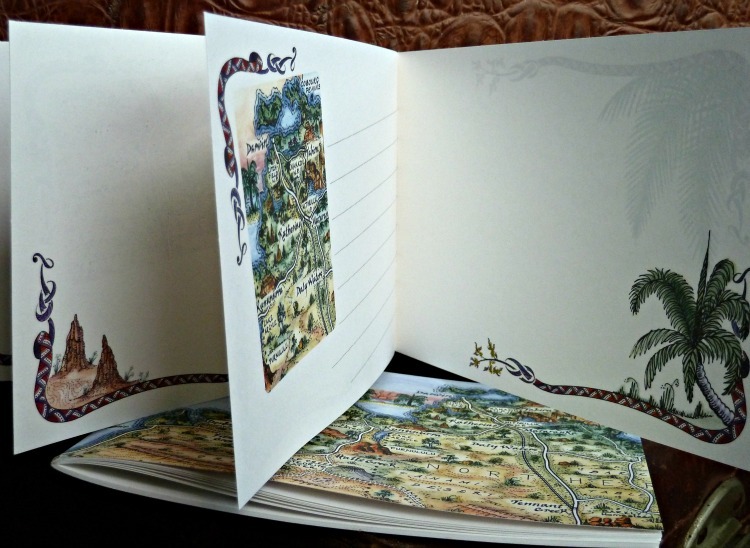 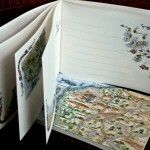 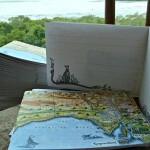 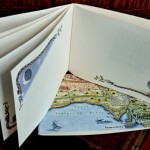 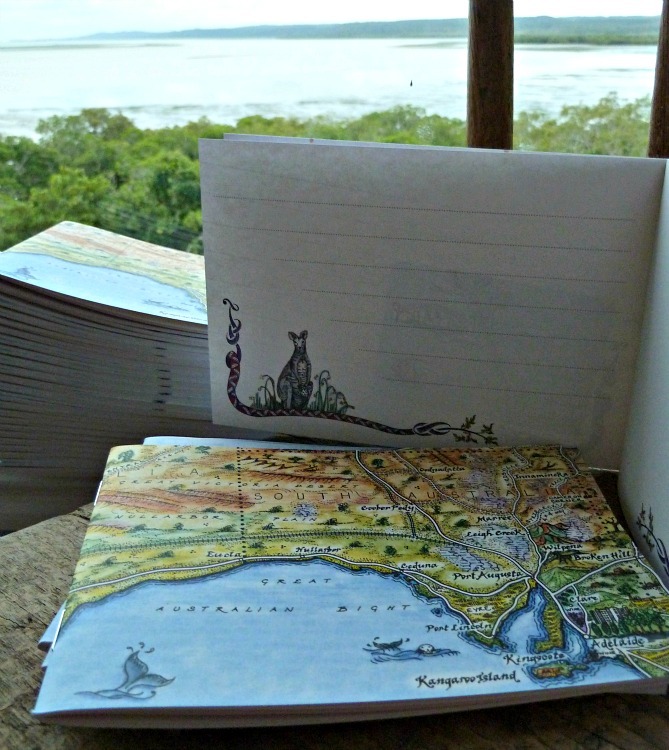 It has 28 pages, each illustrated with my hand drawings of Australian plants and animals, plus eight mini maps. 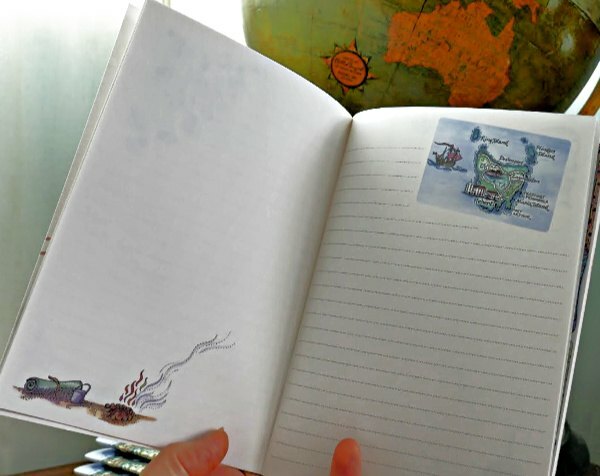 Our little A6 travel notebook doesn’t only have to be used when travelling! 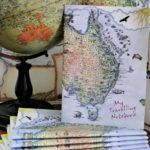 This cover features Ningaloo and the Pilbara in the north west of Western Australia, where you can swim with Whale Sharks on the reef and hike into rugged red rock gorges at Karajini National Park. 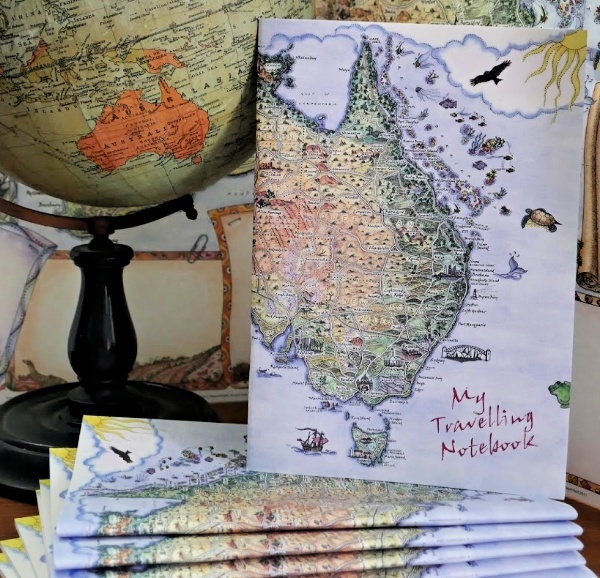 This 28 page notebook shows the Nullarbor (treeless plain) and South Australia on the cover. 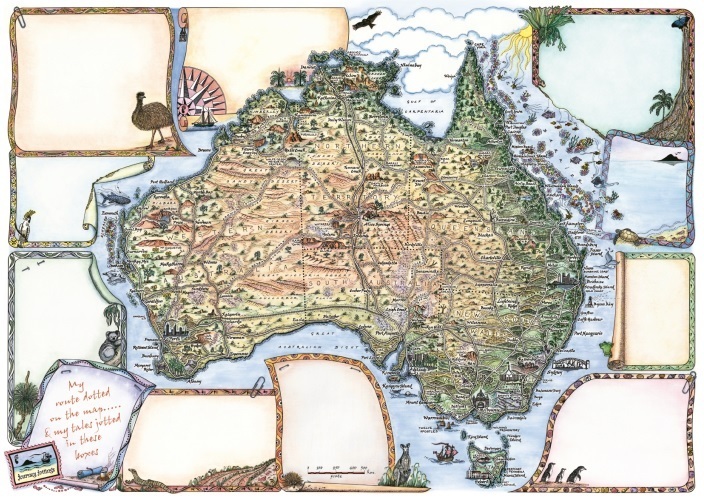 I have a real soft spot for the Northern Territory! 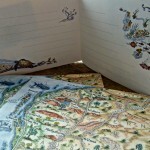 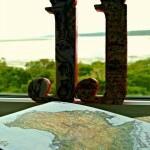 This is where I both started my cartographic career and also dreamt up the notion that was to become Journey Jottings. 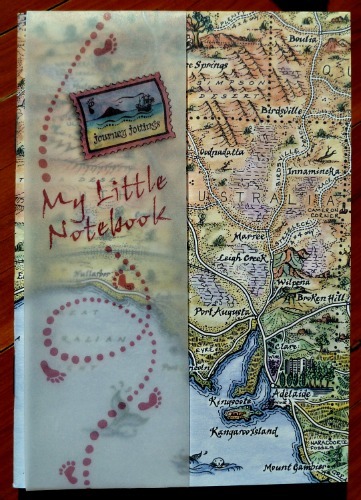 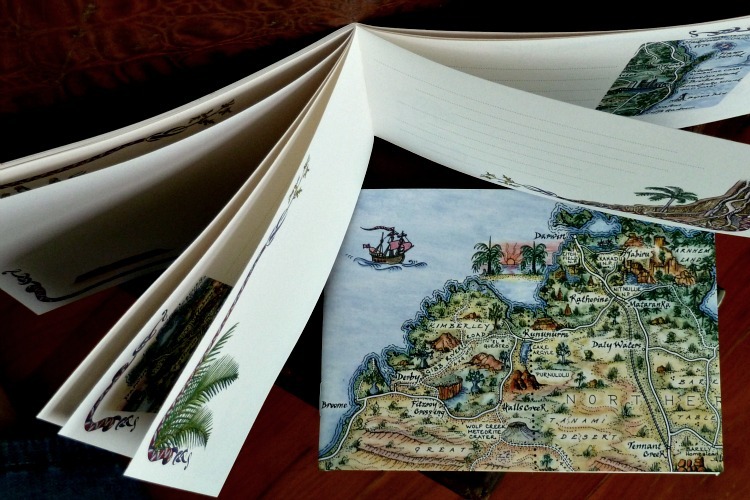 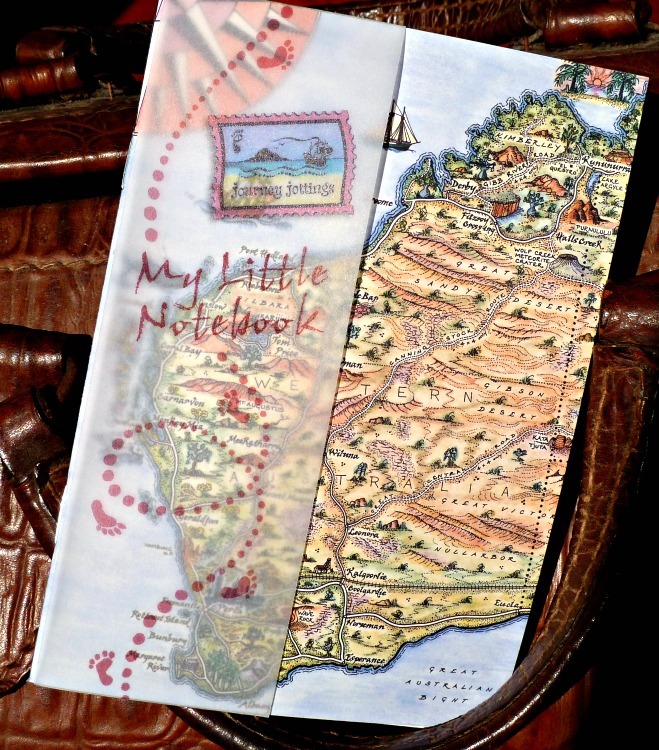 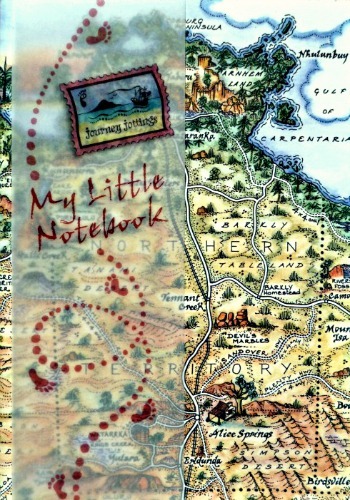 This little A6 Notebook features my hand drawn pictorial map of the Territory on the cover, which holds 32 pages awaiting your travelling tales to be notated upon them. 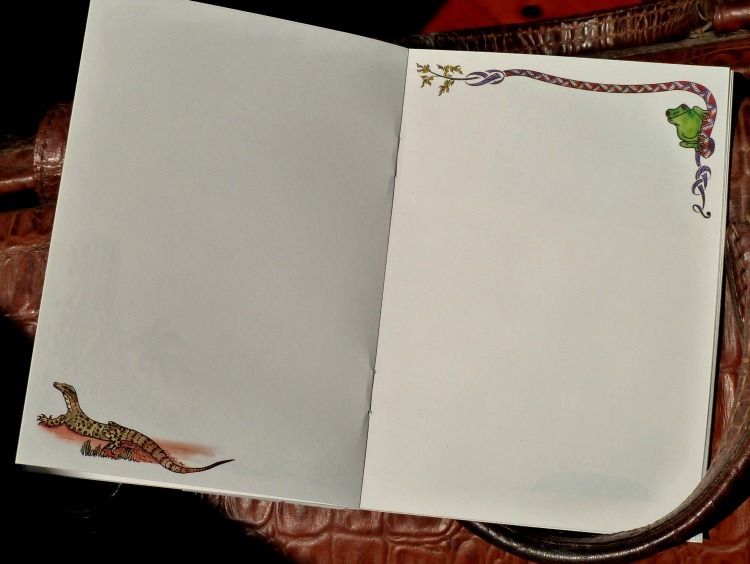 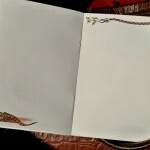 You can either fill it with a month of memories (a page per day) or splash out and take it on a two week jaunt and fill a double page spread each day. 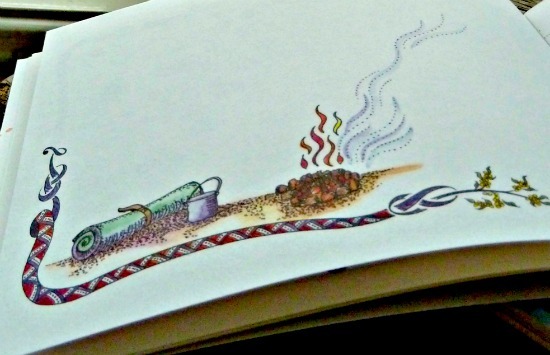 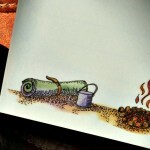 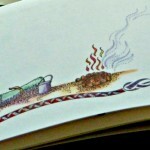 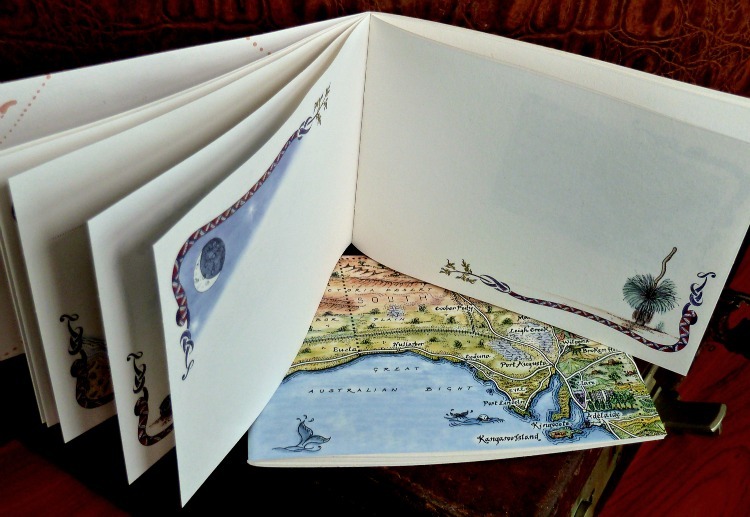 The 32 pages are each illustrated with Ozzie animals, plants and mini-maps, all drawn in pen and ink and tinted with watercolour by Linda. 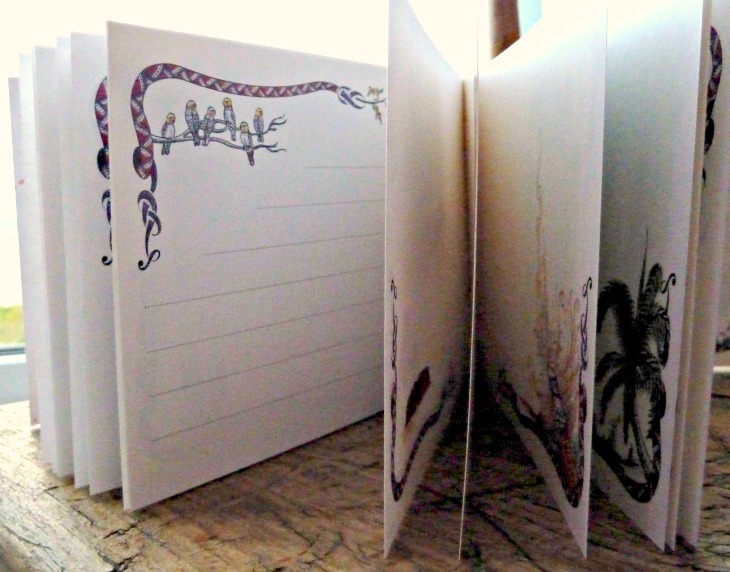 This Notebook is in a portrait orientation so at A6 is 10.5cm wide x 14.8cm high. 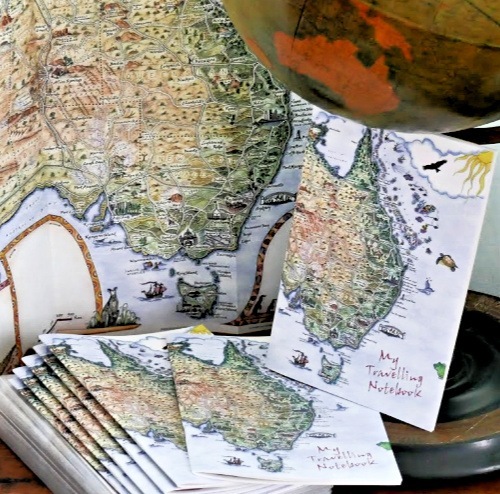 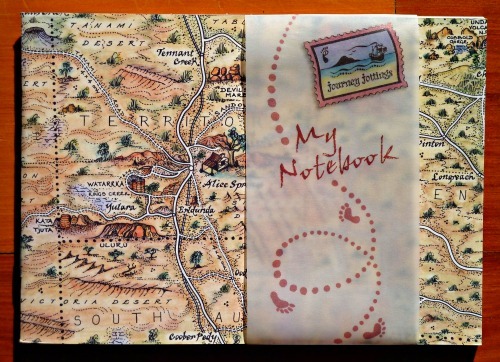 We have 4 portrait oriented Notebooks covering QLD, WA, NT and this one that features a hand-drawn pictorial map of South Australia on the cover. 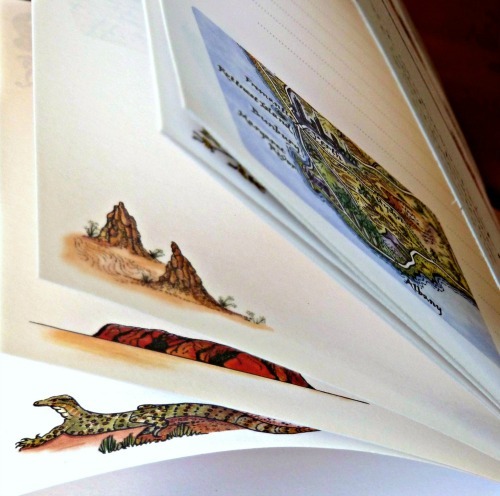 It is A6 in size and has 32 pages of beautiful, tactile 120gsm paper that is not only FSC it also contains 40% recycled post-consumer waste in its fibre. 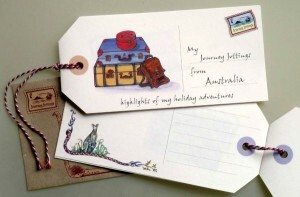 ‘My Journey Jottings from Australia’ is a 32pp booklet cut in the shape of a luggage tag. 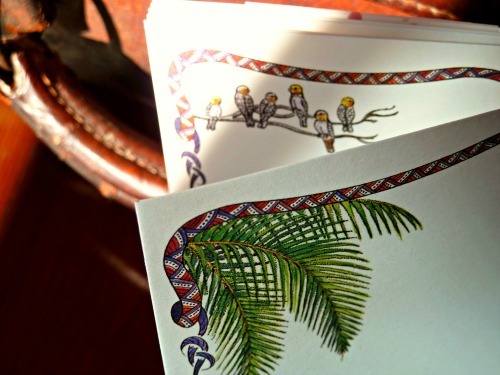 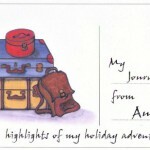 Printed on a tactile 120gsm uncoated paper it’s ripe for postcard-like snippets highlighting your holiday adventures. 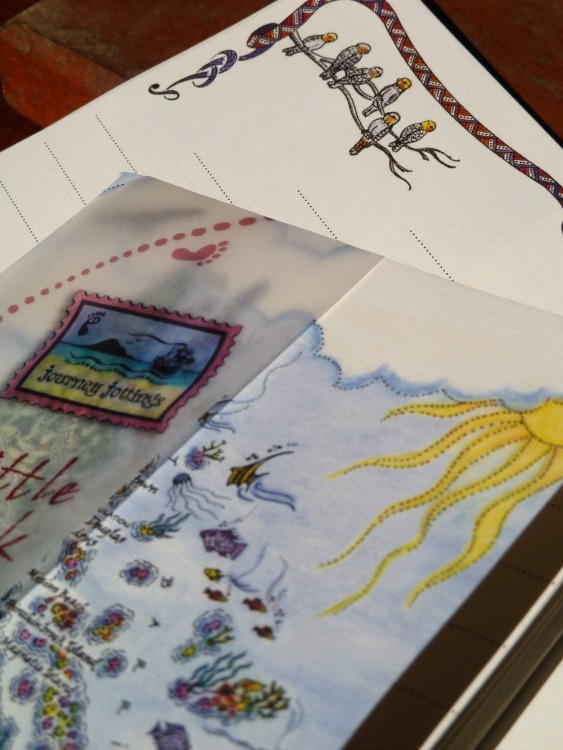 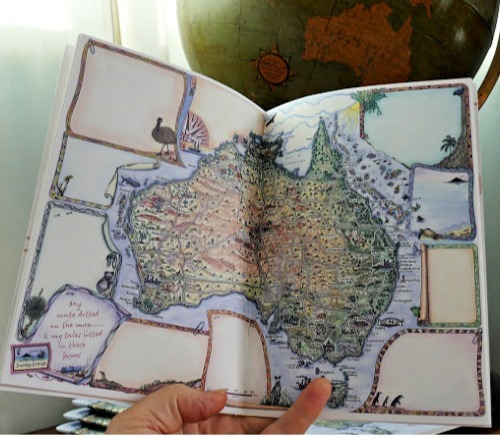 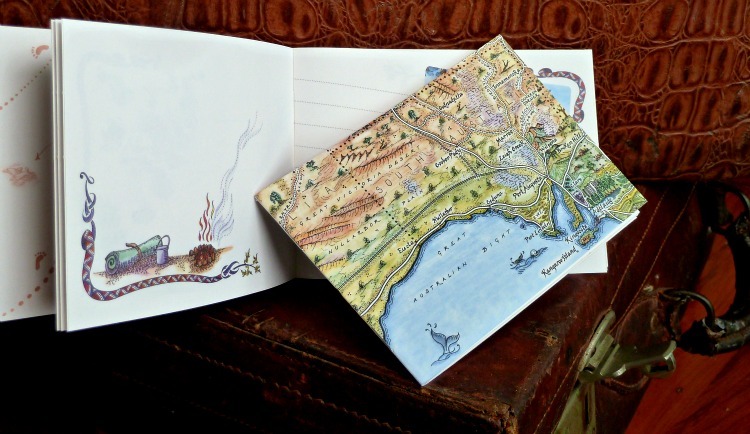 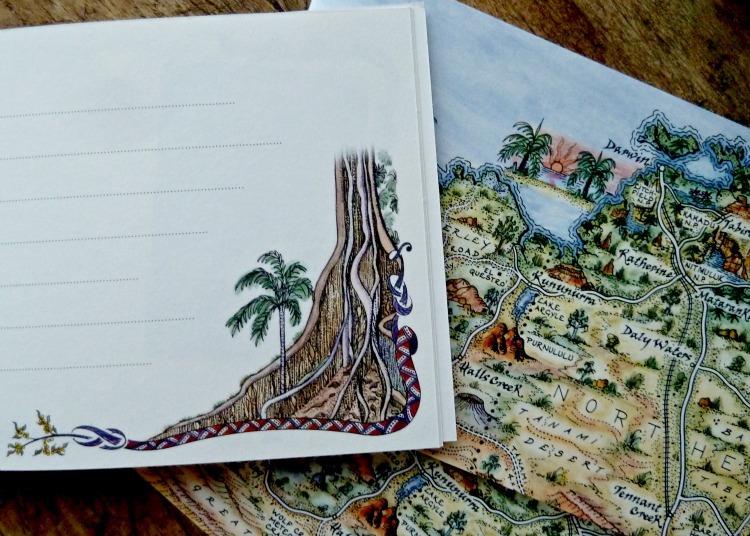 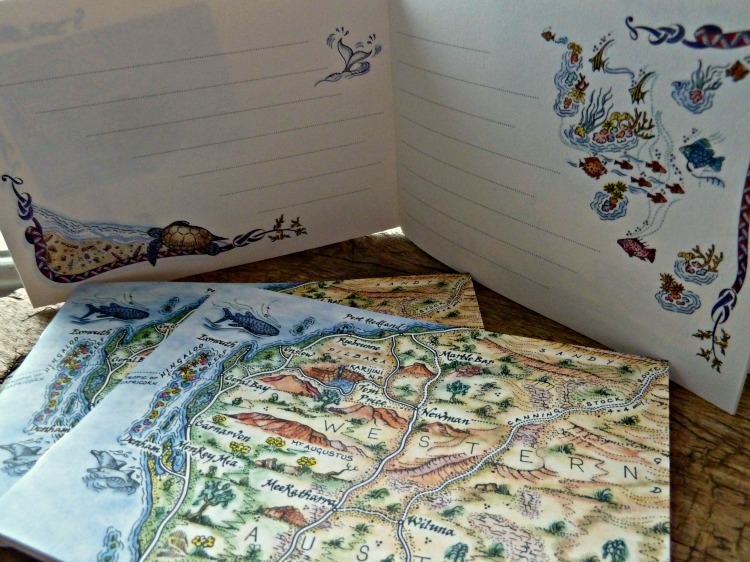 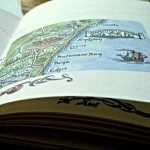 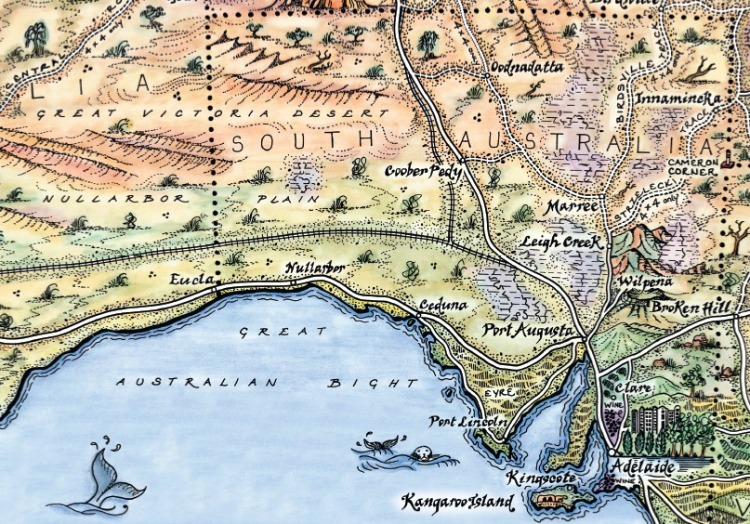 Each page features Linda’s gorgeous hand drawings of Australian plants and animals plus 8 mini-maps covering Sydney, Melbourne, Adelaide, Darwin, Alice Springs, Brisbane, Perth and Hobart. 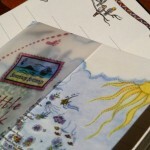 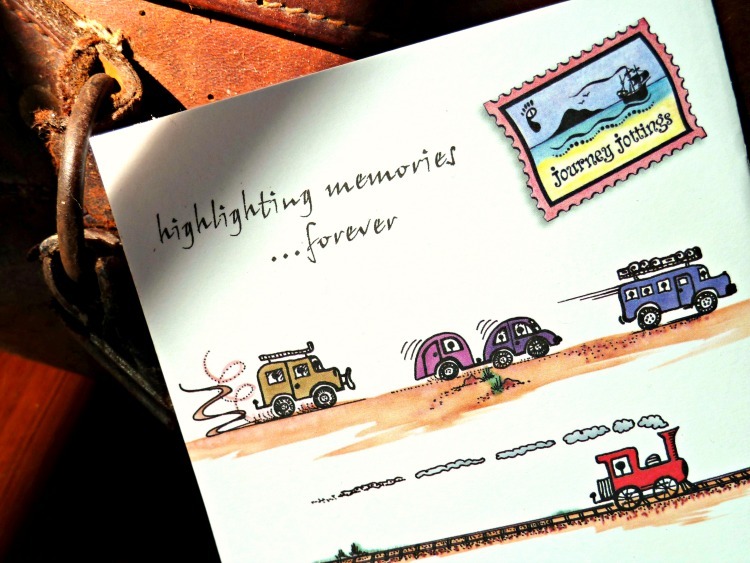 The jotter is supplied with a recycled DL envelope suggesting it’s posted home at trip’s end ‘with pretty stamps & postmark’ so your time away can be enjoyed over & over again. 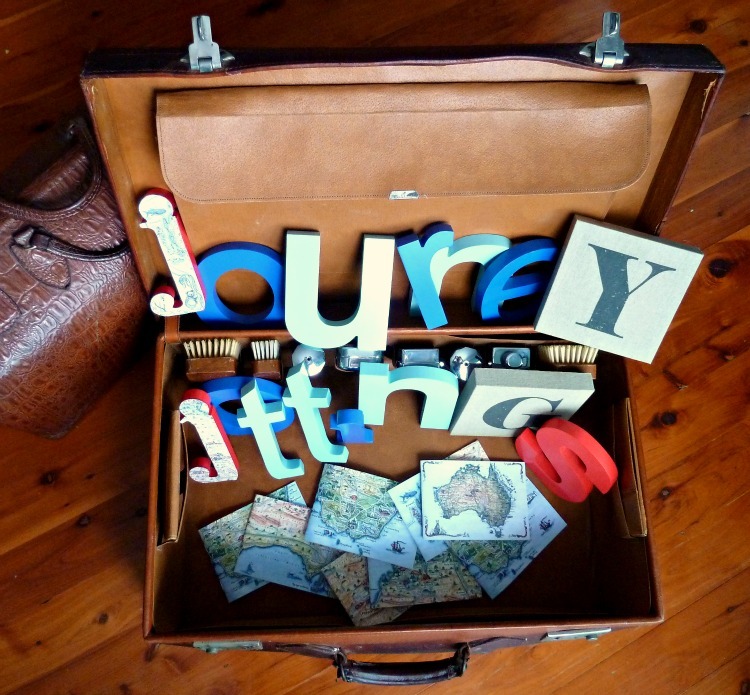 Sealed in a cello bag it has a separate sheet to illustrate the contents, and fun coloured string to complete the luggage tag look.